A classy, charming Christmas card to spread the joy of the season. 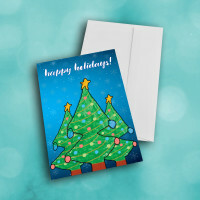 Send an artistic, snowflake Christmas card this holiday season. 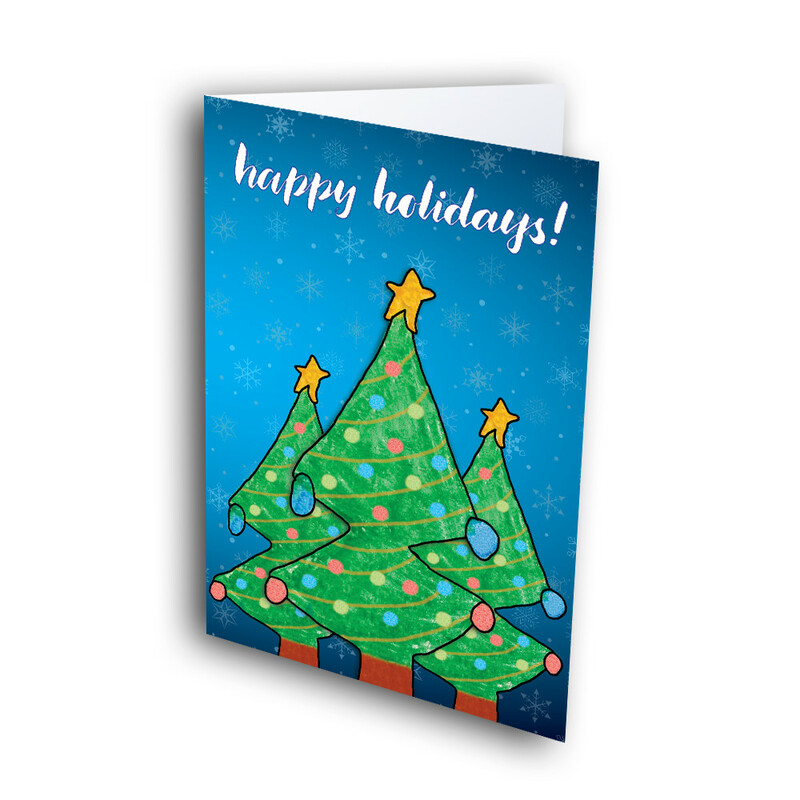 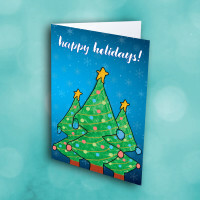 Three tall, colorful Christmas trees stand together against a bright-blue, snowy background. 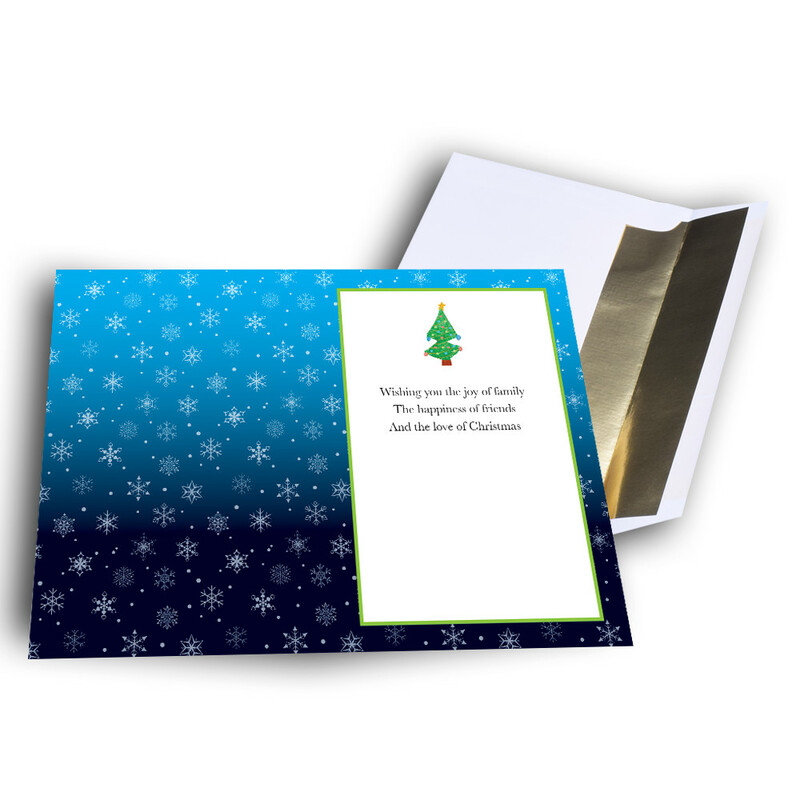 The inside fades from light- to deep-blue, adorned with beautiful, intricate snowflakes, and a warm message. 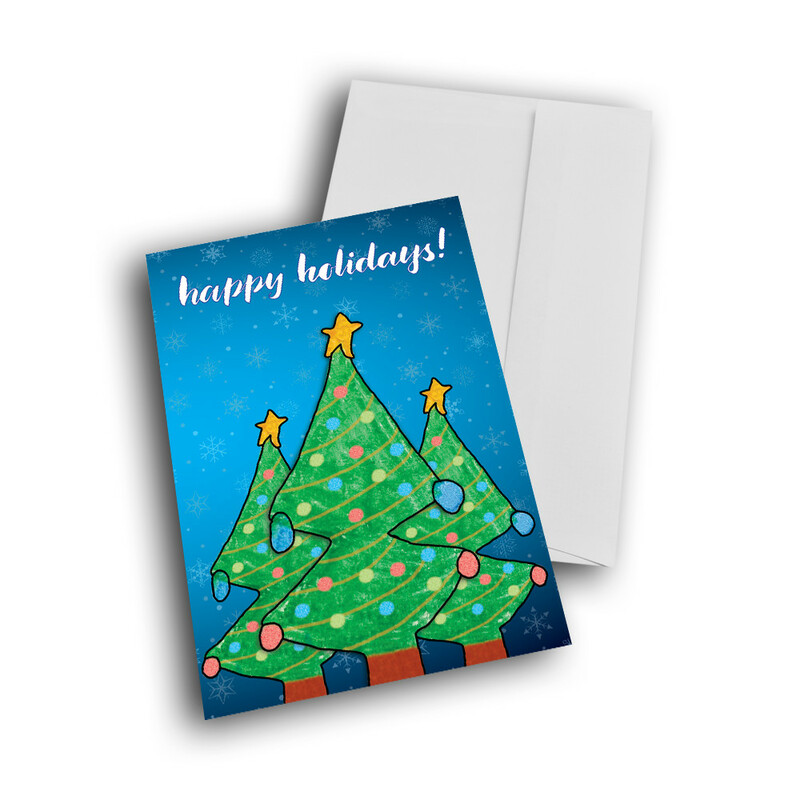 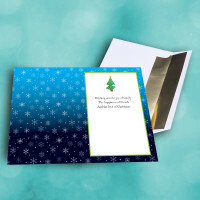 Personalize this message to make this custom Christmas card more meaningful.